The world now religiously worships the internet. At every corner of the world, the sound of a notification rings every second as the person itself inhales and exhales and Instagram has become the biggest photo-sharing social media service on the planet. 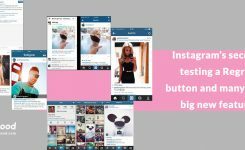 One of the biggest reasons behind the success of Instagram over its competitors was the fact that it was extremely easy to use. We should know all the Instagram tips to make it enjoyable. It’s enough to pay attention to your Instagram account and IG post. 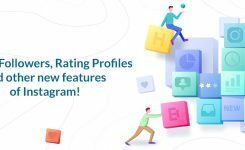 But Over the years, it has added many new features to promote the app and stay ahead of the competition and that’s why it has made it a little bit complex and so some powers get hidden and most users have no idea how to use it or even some don’t get informed of these features. Nametags let you create a special frame that people can scan with the Instagram Stories camera to follow you. It is like a QR code. It could make it simple to follow a friend you just met by having them open their Nametag and then you scanning it. Once users have access, they’ll be able to hit a QR scanner button on their profile to bring up the Nametag editor. The user’s Instagram username appears in the center. And then, they can easily scan and yes, follow them. Write your bio and add the URL to your website. You can also add hashtags or link to another profile by typing “@” followed by a username. Mute will let you not see the posts from certain people without unfollowing them. By this new feature, things will look normal, but their annoying photos or Stories will no longer clutter your feed. Once it’s active on your account, tap (…) on the top-right of someone’s post and select “Mute.” You can then select whether you want to mute only people’s photo posts, their Stories, or both. You can also mute posts and stories by pressing and holding on a story in your feed. You can combine up to 10 of them into a single post, filling your friends’ feeds with a new level of storytelling. You can edit pictures with different styles but just you can write one caption and location for the whole pictures. In a blog post, Instagram said the caption limitation is “for now,” suggesting possible tweaks and expansions in the future. You can also change the order in which photos or videos appear and tag people in each one. Instagram has confirmed that the feature is now live for a limit number of businesses including restaurants and salons. If you’re one of the people with early access, you can register a payment card, set a PIN, and start splashing your cash without ever leaving the comfort of those little square photos. It lets users select tags on photos to see price tags and a link to the retailer’s storefront, but the new tool keeps you within the Instagram app rather than ferrying you to a third-party site. Instagram added an activity status feature which allows users to see when you were last online inside Instagram’s Direct Messaging just as what’s app. But don’t panic, there is a way to turn it off. It’s enough to go to your Profile -> Options -> Show Activity Status and disable it. It really helps in quickly scanning all the photos without having to open the images. The best part is that the long press action works for videos too. This is one of the attractive things you can do to your story. However, it’s not active for everybody yet. Just swipe left to right to activate the Story Camera. Now take a picture and swipe upwards from the bottom. Here select the GIFs option which will open a Giphy integration. Now you can search for GIFs and upload it to share your stories. You may be tagged on photos which you might not want anyone else to see. So you can untag yourself from those photos. To untag yourself, first, you will have to open your profile page and then tap on the Your Photos button. Now tap on the photo you want to untag yourself from and tap again to reveal your username. Now, tap on the username and then all you need to do is to select the “Remove Tag” option and you will be untagged for the picture. This is a really handy feature if you never want to miss posts from certain specific users. Once you turn it on for a user, every time she posts, you will get a notification on your app. It’s enough to go to a user’s profile and tap on the three-dot menu. Here select the “Turn On Post Notification” option and done. 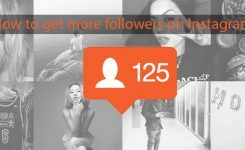 Instagram Business feature which once activated not only gives your free insights into your accounts analytics but also allows you to add direct call and email buttons, promote your posts, and more. To do that, just go to Profile -> Options and then tap on the “Switch to Business” option. By activating your business account which you have access to all the above-mentioned features. Instagram allows users to share links inside their Stories which comes in handy if you are promoting any product or services. This feature is only available for verified business users right now. If you are one, you can add the link by tapping on the link button after recording your Story. One nifty feature that Instagram has added is the ability to hide your stories from everyone you want. If there are users who follow you but you don’t want them to see your Stories, you can do that by opening their profile and then taping on the three-dot menu and selecting “Hide Your Story” option. Instagram can automatically archive all your stories after they expire. To access all your archived Stories, just tap on the Profile button and then tap on the Archive button present at the top of the page. With Story Archives, Instagram also introduced a new Story Highlights feature which allows a user to share their most important stories on their profile page. To create a Story Highlight, visit the Profile page and then tap on the New Story Highlight button. Do you want to share your post on all of your social media? on Instagram, Twitter, Tumblr, Facebook, or any other social media website for that matter, instead of posting pictures on each website individually, you can do it just only by posting on your Instagram, and then that picture is automatically posted on all your other social media accounts. It’s enough to go to Profile -> Options -> Linked Accounts, and link your social media accounts. When a friend’s post attracts you and gives you this willing to share it, there is no need to save it or take a screenshot to be able to share it, easily you can share the post as a sticker directly to your story for your followers to see. To share a feed post to your story, just tap the paper airplane button below the post, just as you would send it via Direct. At the top, you’ll now see the option to create a story. Tap it to see the feed post as a sticker with a customized background ready to share your story. But remember, you can only share posts from public accounts. If you don’t want your posts shared to stories by other people, you can change it in the settings of your profile.